Fast forward to the early part of 2013 and envision what a Palin administration might look like as Sarah Palin begins her presidency by tackling the most serious financial issues our country has had to face since the Great Depression and the most serious military issues our country has had to face since the Cold War. The concept of a Palin presidency cannot be understood through the filter of a mainstream media which has portrayed a grossly inaccurate picture of who she really is. The real picture can only be painted in the minds of Americans who truly want our country to pull itself out of the ditch and renew itself again. Should Sarah Palin run, she will have to remake herself in her own true image rather than create an image to counter the damage done by the media and establishment types within her own party. A potential Palin campaign has plenty of material to work with starting from her 2008 VP nomination acceptance speech, her two books, her speech in Hong Kong, her trip to India and Israel, the Searchlight Nevada speech, the Glenn Beck Renew and Restore speech and an archive of great appearances on the Fox News Channel to work with. In other words, Palin is a candidate whose real image is better than the one portrayed in the media and better than any image a PR firm could manufacture for her. She is the real deal. Selling that to reasonable people should bring her back up in the polls. By comparison and contrast, her enemies will demonstrate by their vitriol and their deranged actions how they’re the ones that are light on the gravitas and worthy of the kind of mockery once directed at Palin. The key will be to box in the ideologues on the Left. Once we accept the fact that the Obama kool aid drinking class cannot be sold a Palin presidency, we can eliminate that market and target the rest of America. This may rub intellectuals, elites and liberals the wrong way, but the fact is they are a minority of the electorate who can no longer convince moderates to form a winning coalition because their record over the past two and a half years is a disaster filled with growing debt and weakening American stature abroad. Independents and moderates want to win. They want America to win. They may have thought hope and change was the answer, but now they are finding they were duped. They may not view Palin favorably yet, but put her side by side with Obama and they’ll see the choice for what it really is. These people made up part of the flag waving crowds that cheered for America during the Reagan presidency. Conservatives are set on finding a nominee that will stand strong on fiscal and national defense issues. The liberals want nothing to do with fiscal responsibility and American exceptionalism. The people in the middle simply don’t want four more years of what we have just been through. Americans were not comfortable with the idea of a Reagan presidency going into the 1980 elections. They didn’t like the job that Jimmy Carter was doing. But, they needed to see Reagan unfiltered by the press, thinking on his feet and responding to a difficult question about Medicare during the final presidential debate before accepting him as the alternative to Carter. That “there you go again” moment didn’t bring flocks of voters into the Reagan camp. It simply convinced flocks of voters that their vote against Jimmy Carter wasn’t that risky. Many will weigh the idea of four more years of reckless spending and transformational progressive policies versus choosing a leader who has been portrayed as ditsy, uninformed and a policy lightweight. If the media caricature of Palin was true, surely those who really know Sarah Palin wouldn’t spend the time pushing for her candidacy. The media has been able to control the public perception so much so that the country elected an unqualified man with no executive background based on delusions of grandeur and rejected a self made woman whose successful past was overlooked because it was easier for the public to digest “I can see Russia from my house” and “hope and change” than it was for them to get any real information from media about Obama’s associations and Palin’s record in Alaska. Now is the time to break that media hold over the minds of Americans and present to them the unfiltered version of Sarah Palin. The mental conditioning she has had to endure in order to stay confident in the face of a headwind of media vitriol makes her even more qualified for the presidency than she would have been had she been given a cakewalk to the White House. If there is one thing that can ease the worried minds of Americans who still have that doubt about a Palin presidency it is the fact that she is the most vetted candidate in history and that she has been time tested to handle adversarial forces that would want to take her down both from within and abroad. Americans need to be able to picture a Sarah Palin who is working with Paul Ryan on a House proposal to cut the deficit, balance the budget and reform entitlements. They need to be able to see her working with a Republican Senate to prepare the financial recovery and debt reduction act for committee and ultimately to be sent to her desk for signing. If she is able to also get a comprehensive energy policy which opens up drilling along with the financial recovery plan, she opens the door for industry and business to create jobs and wealth for a country that hungers for the days of the Reagan recovery. The wealth that Palin needs to pay down the debt sits untapped in the ground right now. The productivity that Palin needs to bring down unemployment sits idle in machine shops, construction companies and a service industry that could be receiving a tremendous collateral boost from an awakened industrial giant that seeks to tap into all of our natural resources and get it to hungry markets here at home. As we cut spending, reform entitlements and stabilize our budget, world markets will begin to respond positively to America again. The stock market will go through a correction early in a Palin presidency as it weans itself off of crony capitalism and finds entrepreneurial investing a refreshing return to the way things used to be done on Wall Street. There is no delusion that Palin will eliminate the debt and restore the country in four years. There has been too much damage done. Righting this ship will require us to not only give Palin two terms, but to constantly remind ourselves that we can’t go back to business as usual the way we did after Reagan left office. 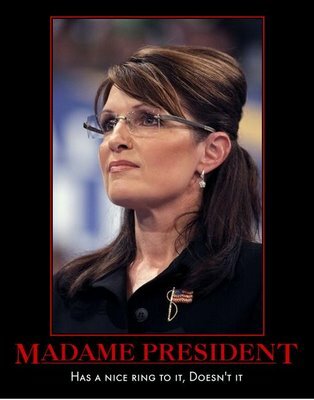 Putting Palin in the White House is only the first step. The restoration and renewal will have to come from within. It will have to be built culturally, intellectually and in academia. 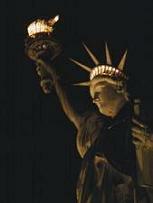 Americans don’t need to be taught how to be free; they just need to be put into an environment where they are free. This will be the role of the culture, the intellectual community and academia. This is where the real conservative infiltration will have to take place. America will be able to feel proud again with Palin as president. It will be able to feel productive again. It will see a brighter future with each passing year as the needles on the deficit and debt go down. There will be tangible progress seen over the course of a decade. The liberals will scream and kick, just as they did under Reagan. But when Reagan was successfully leading the U.S. into prosperity and defeating the Soviet Union in the Cold War, was anyone really listening to the liberals back then?